Toy Story 3 is a advance claw machine. With space for a high amount of toys, equipped with eye catching lights and LED screen marquee perfect for advertising and more. 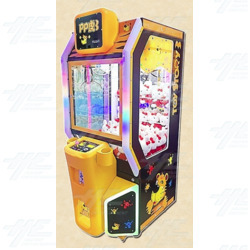 This machine can also be equipped with cup holders as well for the players comfort. equipped with an ergonomically designed cup holder, for player comfort.